Want to make some Sweet Waffle Wonders? 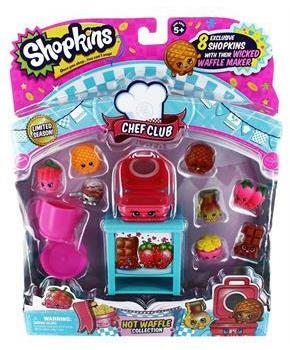 Start cooking some tasty treats that can't be beat with the Shopkins Chef Club Waffle Collection! They are the sweetest flat little friends you'll meet! 8 yummy Shopkins, a large Waffle Maker and 2 small accessories make this collection one to waffle on about! 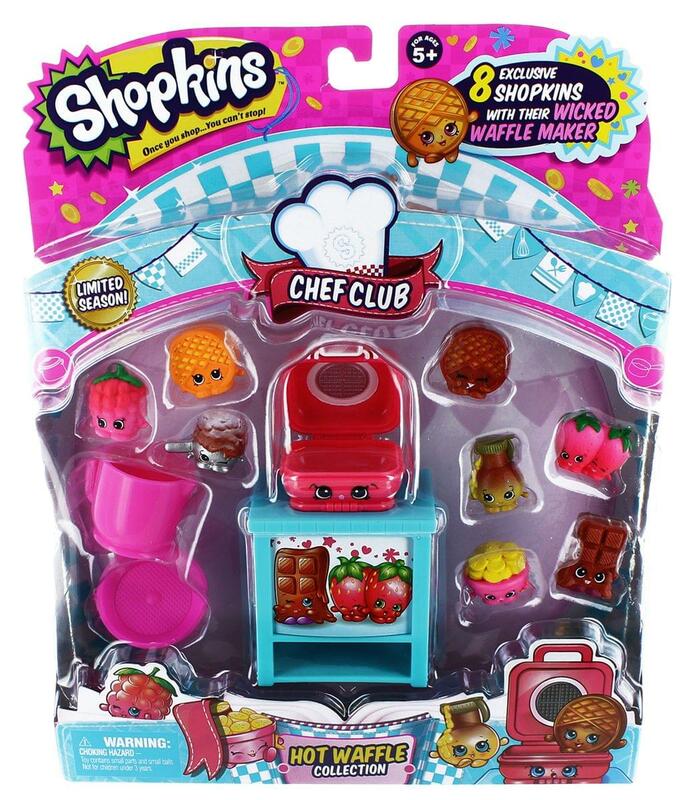 Includs 8 yummy Shopkins, a large Waffle Maker and 2 small accessories make this collection one to waffle on about!